Users of Microsoft's Xbox Live online gaming portal have fallen victim to a suspected phishing scam, which has seen many stung with credit card charges for items they have not purchased. Account holders have reported multiple transactions, dating back many months, which have seen rogues purchase Microsoft Points and then cash them in for downloadable content. Points have been specifically spent on EA Sports Ultimate Team Packs on titles like FIFA, Madden and NBA, giving the opportunity for these points to be turned into real-life pounds. The Ultimate Team Packs allow gamers to built their ultimate fantasy team, with players changing hands for real money, between gamers. EA keeps no record of the transactions. It is thought that the phishing scam could have arisen from unauthorised websites promising gamers free Microsoft Points if they first hand over their details. However, affected gamers are claiming to have no knowledge of falling for these - rather obvious - scams meaning that gamertags, passwords and billing information must have been obtained from a third party. It is not yet clear how hackers obtained this data, but it seems that a content provider holding the personal information of Xbox Live users may have been hacked. Mircosoft has long been adamant that its closed-walled online portal is immune from hackers, so this phishing spree is sure to worry the company. The company says: In this case, a number of Xbox Live members appear to have recently been victim of malicious 'phishing' scams (ie online attempts to acquire personal information such as passwords, user names and credit card details by purporting to be a legitimate company or person). 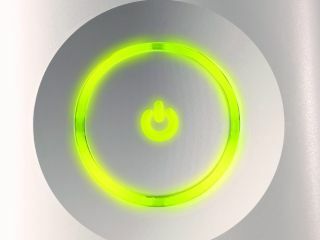 "The online safety of Xbox Live members remains of the utmost importance, which is why we consistently take measures to protect Xbox Live against ever-changing threats."